New York: Satyam Computer Services Ltd asked a judge to let Jones Day replace Wachtell Lipton Rosen and Katz as the law company defending the software services provider against investor lawsuits in the US. Satyam, the company at the center of India’s biggest corporate fraud inquiry, made the request in papers filed on 18 September in federal court in Manhattan by Jayant Tambe, a Jones Day partner. The papers gave no reason for the switch. Wachtell Lipton Partner Warren Stern and Satyam executive vice-chairman Vineet Nayyar signed a consent to the substitution of counsel. 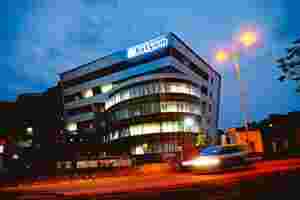 Satyam’s shares and American depositary shares, or ADSs, lost most of their value after chairman B. Ramalinga Raju revealed an accounting fraud on 7 January and resigned. Investors in the US filed at least a dozen class-action lawsuits, which have been consolidated before US district judge Barbara Jones in New York. Jones must approve the law-firm change. Stern didn’t immediately return a call seeking comment. Tambe said he couldn’t immediately comment. Satyam spokesman Sridhar Maturi didn’t immediately respond to an email sent. Investors suing Hyderabad-based Satyam in the US filed a consolidated complaint in the case on 17 July. The defendants, including the company and Raju, must respond by 16 October. Wachtell Lipton, based in New York, is the most profitable US law firm, according to the American Lawyer, a trade publication. The firm was the top legal adviser on global mergers and acquisitions for the first half of 2009 after advising on deals worth $150 billion, double the $70 billion for the same period last year. Wachtell Lipton has come under scrutiny for its representation of Bank of America Corp. in its acquisition of Merrill Lynch and Co.
On 14 September, US district judge Jed Rakoff in New York rejected Bank of America’s settlement with the US Securities and Exchange Commission over the disclosure of Merrill bonuses to shareholders. Rakoff has questioned why the SEC didn’t sue bank executives or their lawyers. Jones Day, based in Washington, has more than 2,400 lawyers in 32 global offices, according to its website. It represents collapsed bank Lehman Brothers Holdings Inc. and automaker Chrysler Llc in their bankruptcy proceedings. In May, Jones, the federal judge in New York, appointed a group of institutional investors, including the Mississippi Public Employees’ Retirement System, as lead plaintiff in the Satyam litigation. In class actions, the lead plaintiff manages the case, including approval of any settlement. ADSs, also called American depositary receipts, are issued by US banks to allow investment in non-US companies. Satyam raised $161.9 million from the May 2001 sale of its ADSs. In prosecuting Raju, 55, the government will try to show Satyam funds have been diverted and trace any real estate purchases and cash, corporate affairs minister Salman Khursheed said in a 10 September interview. If wrongdoing is found, the funds can help pay for liabilities arising from the US lawsuits, Khursheed said. Raju denies diverting funds and will respond to all charges in court, said his lawyer, S. Bharat Kumar. Raju will be tried in a one-time court within a year to circumvent the legal system’s backlog of 30.8 million cases, Khursheed said. After Raju’s January disclosures, India’s government dismissed the Satyam board and appointed new directors. Software company, Tech Mahindra Ltd, gained control of Satyam in May after winning an auction held by a government-nominated board. Tech Mahindra is partly owned by BT Group Plc and India’s largest maker of sport-utility vehicles, Mahindra and Mahindra Ltd.
Subramaniam Sharma in New Delhi, Lindsay Fortado in London and David Glovin and David Scheer in New York contributed to this story.